Remember that T-Mobile confirmed earlier this week plans to update several LG smartphones to Android Oreo? It appears that Verizon is releasing its own Oreo updates as well, just not to all LG phones at once. 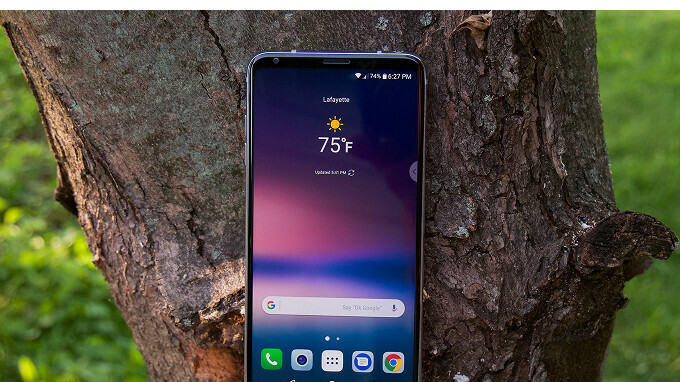 The good news is if you own an LG V30 that you bought through Verizon, you can expect to receive an Android 8.0 Oreo update very soon. Although the carrier has yet to announce it on the phone's webpage, many users confirmed they have received the update on their LG V30 smartphones. Make sure you have enough free storage since the file weighs in at 1.7GB, so it's a fairly sizable download. Also, better make use of a Wi-Fi connection to download it faster. In the same piece of news, another LG smartphone is getting an update, but it's not Android Oreo. It looks like Verizon is now rolling out the February security patch for the LG G6, one of the smartphones that should be updated to Oreo at some point. No updates for this V30 Verizon 4 days now and still on December security. Must be Fake News! Where the heck is the AT&T V30 update???? ?